Check out all the results and winning numbers for the Mega Millions draw below, with the latest result being at the top and all the previous results listed below that in order from most recent to oldest, top to bottom. If you have bet on the outcome of the Mega Millions draw, or have bought a ticket in one of the 44 states in the US, you have come to the right place to check whether you're a winner. The draw that has now become Mega Millions was launched in 1996 under the name of The Big Game, with the name changing to its current incarnation in 2002. As mentioned above the game is operated in 44 states by a consortium of 12 original lotteries who pooled the prize pot. Much like the Powerball draw the jackpots can reach some pretty astronomical numbers, with the largest jackpot being in 2012 when 3 people shared $656 million. 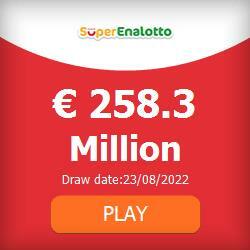 The odds of winning the jackpot are currently 302,575,350 to 1, so it's a hell of a result to hit the big win.